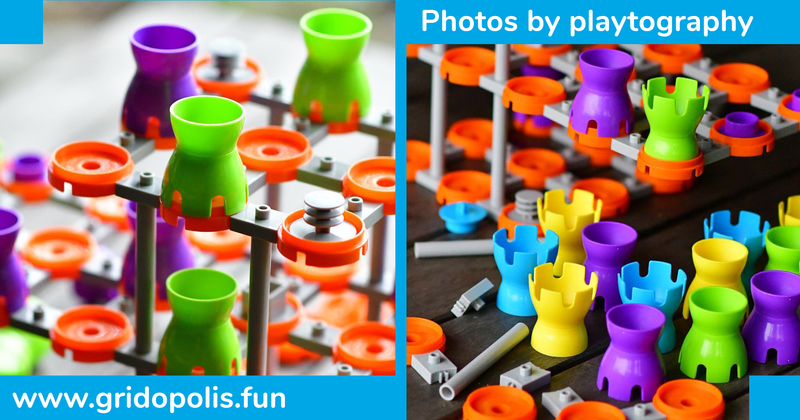 The Playtography Instagram account, which boasts over 16,000 followers, photographed and reviewed Gridopolis last week. Among the highlights, they called Gridopolis "wonderfully inventive" and as having an "incredible table presence that appeals to a wide range of ages." Check it out the full post on Instagram or read the review below. Gridopolis is a wonderfully inventive family-focused 3D-strategy game. It takes the traditional flat game of checkers and places it in a three dimensional environment that is capable of evolving as the game progresses. Players’ pawns can move and jump horizontally, vertically, diagonally and across multiple levels. The goal is to capture your opponents by jumping over them. Any pawns that gets jumped is captured and removed from the game, until one player is left. And guess what? Gridopolis plays up to a cool four players! It’s modular board-system means that you can create your own game configuration every time you play. It is simple to teach, play and engaging for the whole family. The components are high quality, has an incredible table presence and appeals to a wide range of ages. I like it that it takes a familiar game and literally takes it to another level (well...several levels), making it very easy for people to get into. Unsurprisingly, Gridopolis has just received two gold awards for 'Educational Toy' and 'Board Game' design in the International Design Awards (IDA). It’s awesome fun! Want to learn more? 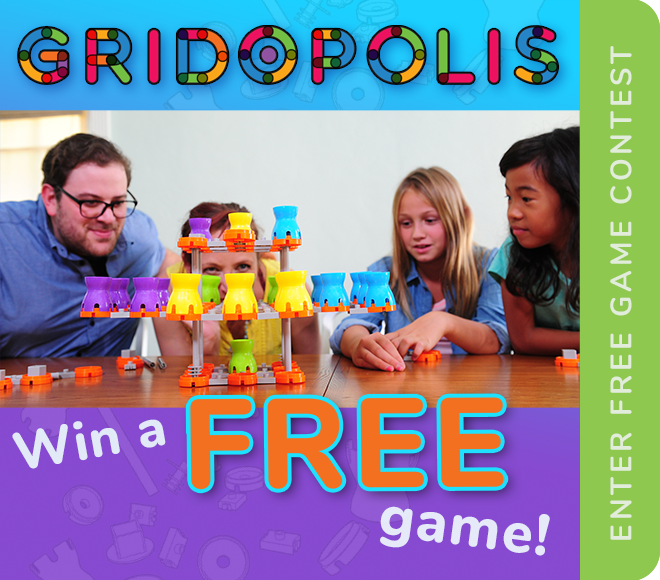 Sign up for our email alerts to be notified first about Gridopolis updates, instructional videos, gridset blueprints, lesson plans and MORE.